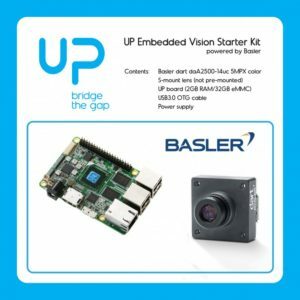 UP board and Basler camera are 100% designed for embedded application. 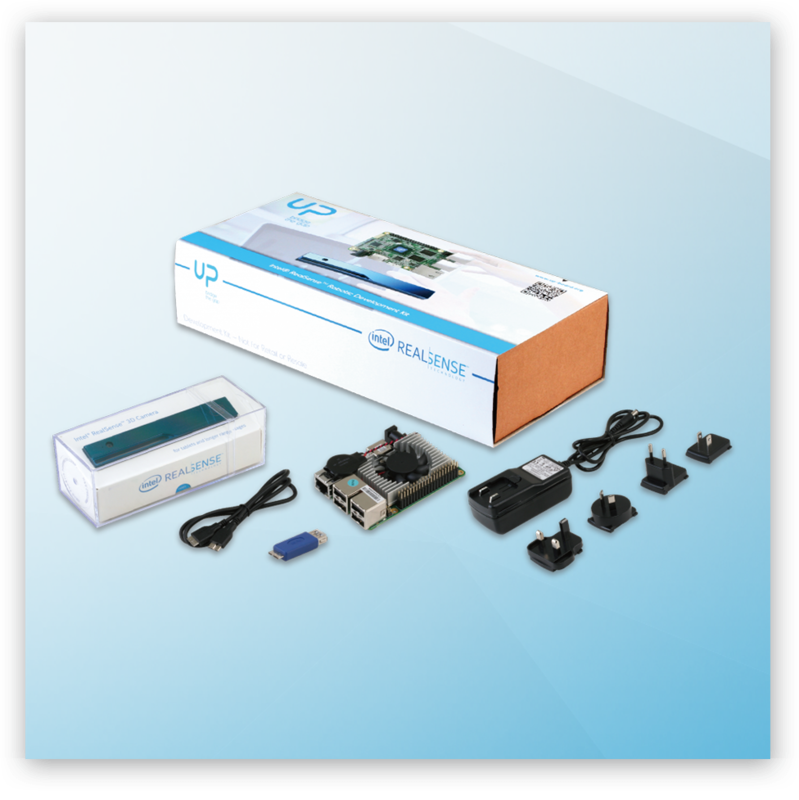 The kit includes all hardware you need for embeded vision, along with Basler’s Pylon software for Window or Linux. 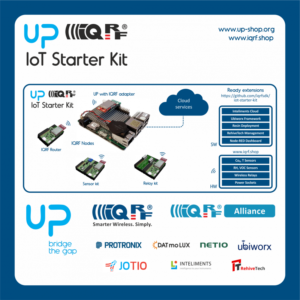 Starter your IoT development with gateway, sensors, software and cloud ready package. IQRF DPA interoperable product. Developed within IQRF Alliance. A bundle featuring a credit card-sized board and an Intel® RealSense™ camera (R200). Together, they help to bridge the gap between rapid prototyping and final product design. 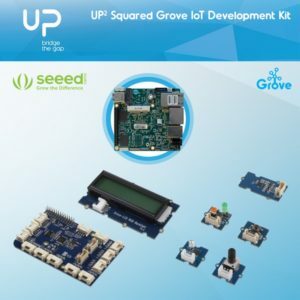 The kit includes a UP Squared board, Grove sensors and an Ubuntu preload image connecting with Arduino create. You get a pre-loaded OS, a number of sensors to play with and an IoT development platform to code and connect to Clouds. The kit includes everything you need to start artificial intelligence project. With Up Squared board, you have a powerful CPU and GPU to process data. 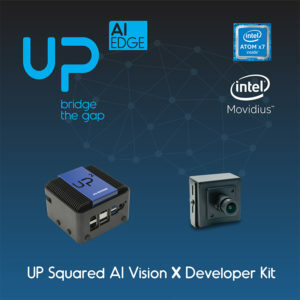 Thanks to AI Core X, a deep learning Intel Movidius Myriad X module, and OpenVINO toolkit, everything is pre-configured for your quick development.